Whether you are a parent, spouse, significant other, a professional working a job in management / a leadership role, in just about any other stage of adulthood, we often believe that making ourselves a priority is selfish, entitled, or self-absorbed. 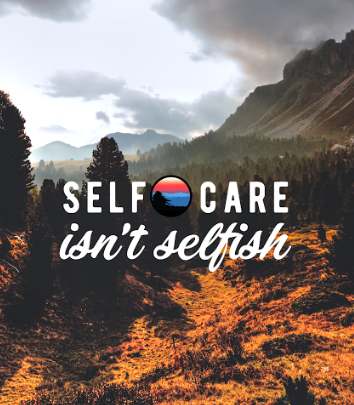 When everything is going smoothly in life and we are hitting every hypothetical curveball that life throws at us out of the park, it’s so easy to forget the importance of self-care. We focus on those around us: their schedules, their emotional and mental needs, making sure they are successful in life. 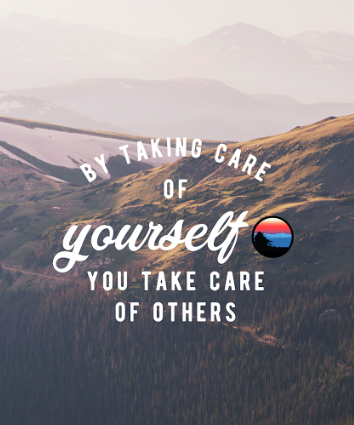 Committing to others around you is an important part of life — something I personally think we should commit to more and in a more balanced way — but when we do falter and need to root ourselves in our own neglected self-care practices, our commitment to others can make self-care seem selfish, as if we are suddenly putting those around us on the back burner for our own gain. This is why the Blue Ridge Nation dedicates an entire day every week to honoring the practice of self-care. We encourage everyone to have a self-care routine that they practice regularly, not just when it’s long overdue, and not just on Sundays. But where do you start in your self-care journey? How do you know where and what to focus on? Think about self-care in three broad areas: physical self-care, mental self-care, and spiritual self-care. The important overall wellness areas of diet, exercise, and sleep fall under physical self-care. A poor diet can have a profound effect on your overall immune system and mental health, and put you at higher risk for chronic diseases. Diets and exercise don’t have to be hard or restrictive, but instead well-rounded and enjoyable. Take a walk with your family or pet(s) between work and dinner every day, meal prep on Sundays so you don’t over-indulge during the week and then reward yourself on Friday night with that delicious piece of chocolate cake. Incorporate a good sleep schedule even on weekends and allow yourself a few moments for a relaxing ritual before bedtime: reading, a hot bath, meditation. Much like the body, the mind also needs to be exercised. The mental component of your self-care routine should address your emotional needs, challenge yourself intellectually, cultivate creativity, and let your mind ebb and flow without force. Allow your emotions to flow in the direction they need and (compassionately) express them if necessary. If you are hurt or upset by a friend or situation, speak up. You cannot help others if you yourself are fighting just to get yourself up out of bed. 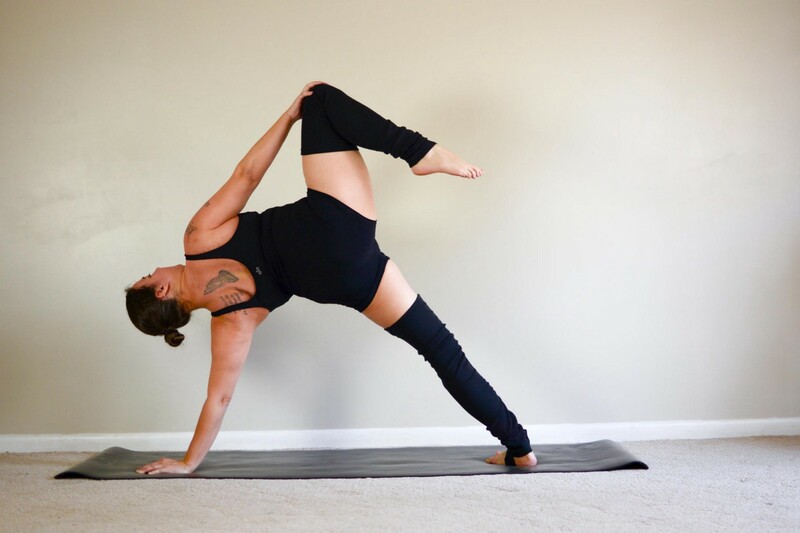 Whether or not you are a religious person, spirituality is an important part of any self-care routine because it addresses how we connect with those around us and with the idea of things bigger than ourselves. Acknowledge gratitude, spend time truly connecting to the world around you, and volunteer your time to help those in need in your community. Just like most of the very important things in life — like love, relationships, and compassion — self-care doesn’t require some big grand gesture or an unbelievable amount of time. A lot of self-care practices can be integrated into your everyday life, making self-care a small, daily expression of love to yourself.